I wanted to wish everyone a Happy Halloween! This is always one of my favorite times of year, with candy and kids dressed up as their favorite monster, superhero, princess or whatever else they like. I love seeing the homemade costumes as well as the cool ones that we never had as kids. My night will be spent watching my kids trick or treat and also handing out candy and wondering why I didn’t buy more. My house gets a lot of Halloween traffic. 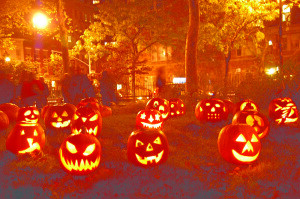 I have been working on a Doorknob Society story that involves Halloween as well as a Bigelow Mystery. So this time next year I should have something new for you to enjoy as you eat far to much candy. Also as a reminder, The Cartographer’s Compass, is coming soon! Make sure to get your copy as soon as its released. I want to hear all about what you think of my latest novella when it arrives. Enjoy the holiday folks and as always remember to stay safe! Let me know below what your costume is for today or what you want it to be. I was Chloe Masters, from my favourite book series.